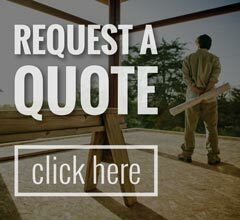 As a family-owned company since first becoming a home specialty center in 1981, our Ostego home remodelers at Abode Building Center have emphasized quality products and excellent customer service when working with builders and remodeling contractors throughout Ostego, MI and around the West Michigan area. When homeowners are looking to make some minor home improvements to specific areas of their house, including the kitchen, garage and entry way, the remodeling specialists at Abode Building Center offer their expertise in helping them create a welcoming home environment. To assure clients that they are getting the best quality building products, Abode Building Center works with familiar building supply and material brands. In addition to providing quality construction products, our home improvement contractorsalso has established a great reputation for providing professional installation services as well. Our Ostego design specialists are ready to work with you so give our Ostego home specialty center a call at (269) 329-1800. At Abode Building Center, we proudly serve Ostego, MI and other surroundingWest Michigan areas.